Do you need a Halloween party invitation for this year's soiree? No need to spend hours online looking for one - I've found the best free online Halloween party invitations and listed them below. All these Halloween party invitations are meant to be sent online but if you want to go the more traditional route, I have a list of printable Halloween party invitations that you can send in the mail or deliver in person. These Halloween party invitations can be easily customized with your own text and even photos before you send them out to your guests' email inboxes. With some of these invitations you can even keep track of your RSVP's online. If you're looking for more Halloween freebies like these free Halloween party invitations for your shindig, check out my lists of free Halloween party games, Halloween music, and spooky Halloween sounds. It makes it easy to make your Halloween party the best for less. Here's another online Halloween invitation by Marcia Copeland, this time featuring a skeleton couple inviting your guests to come to get their freak on at your Halloween party. After you've filled out all your party details, you can preview your Halloween party invite to see what it will look like in an email, on a webpage, and slipped into a digital envelope. Canva has a lot of free, online Halloween invitations but this pumpkin carving invite is one of my favorites. With a dark purple background and bright orange and yellow jack o'lanterns, your guests won't' be able to resist your pumpkin carving party invite. You can customize the text, colors, and other details of this invite before sending it on. This free online Halloween invitation will work for any type of party you're having, spooky to fun, for the adults or the kids. The invitation is shaped like a pumpkin and it slips into it's own virtual envelope. You can personalize this Halloween party invite with a title, date, and location along with any other details you want to tell guests about. Punchbowl allows you to keep track of your guests' RSVP's for free and even set up a message board where you guests can chat. This free online Halloween invitation welcomes your friends not just to a party but to a bash. A friendly ghost (or maybe not - did you notice the teeth?) and a moon and bat dares them to attend. 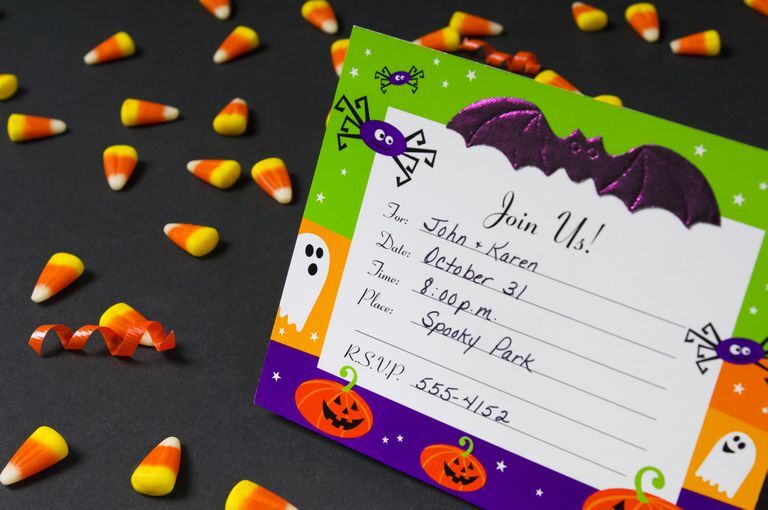 There's plenty of room in the Halloween party invite to add the date, time, and place of the party, along with any other details your guests will need to know. This Halloween party invitation is modern but still keeps with the spirit of Halloween. It would really work for any type of Halloween party you plan on having. You can fully customize this Halloween party invitation with your own text and images. You can also add your party date and time which will automatically be added to the invitation and guests will have the option of completing their RSVP online. This free online Halloween invitation features some black cats cozying up to some jack o'lanterns, inviting your guests to your Halloween Spooktacular. This is a truly creepy Halloween party invitation that invites your guests to come visit your haunted party. Enter your party details to this Halloween party invitation and make it super easy for your guests to be in the know.